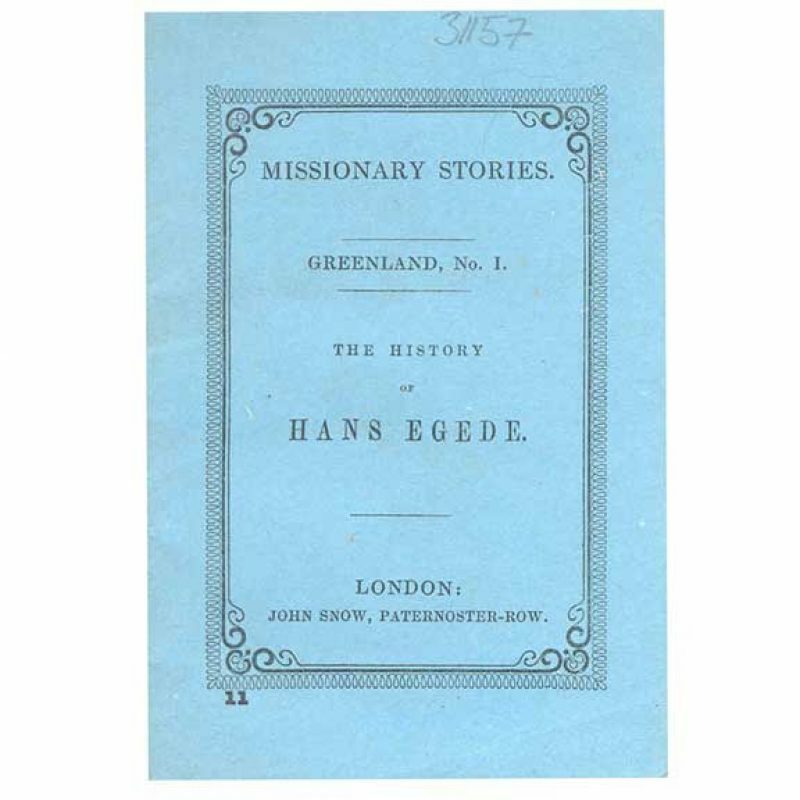 The History of Hans Egede. Missionary Stories: Greenland, No. 1. London: John Snow, nd. [circa 1850] Wrpps, 16mo. [4½ inches.] 8pp. frontispiece of a Greenland man, woman and child with a Kajak. An excellent copy in the publisher’s light blue printed wrappers. 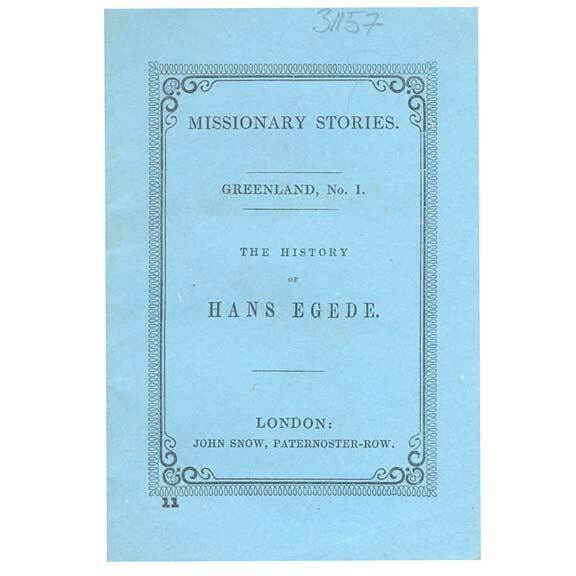 Egede, Hans (1686-1758) was a Danish missionary in Greenland. The English edition of his ‘A description of Greenland.’ was first published in 1745.